Guess what it will be. With the same headstock that's on all of your other guitars. we get it, you can build guitars. Better than what anyone else is posting, keep it up.. is say put it all in one thread though, easier to go back and look at it all later.. I'm kinda surprised no one pointed out this was going to be a hardtail instead of a trem like every other strat in the world. I'm kind of surprised nobody is commenting on the poem I put in this thread. I guess it's just us, JJ. A hardtail, eh? What brought this about? 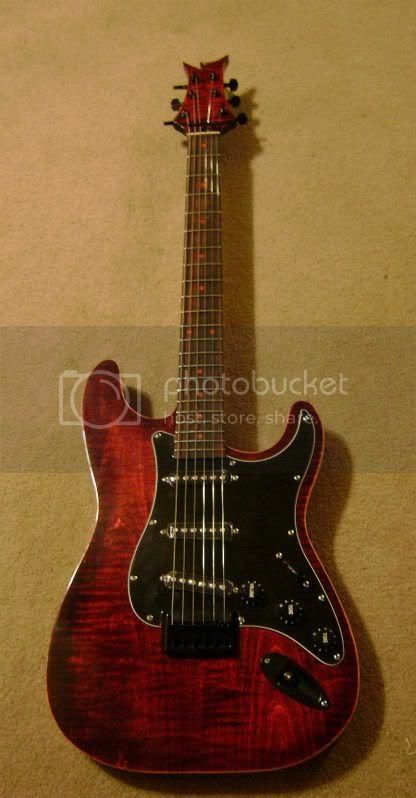 I used to use Floyd rose setups from '89-02. 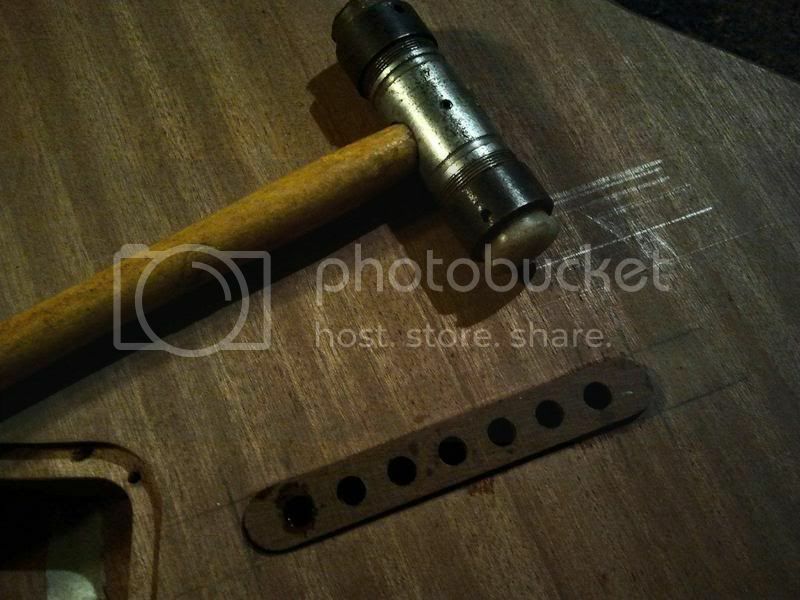 Reminds me of the time I put a telecaster lipstick neck pickup in an Ibanez heavy metal guitar. Ok, let's both of us keep checking back on this thread. Someone is bound to respond to us eventually with some much deserved attention. 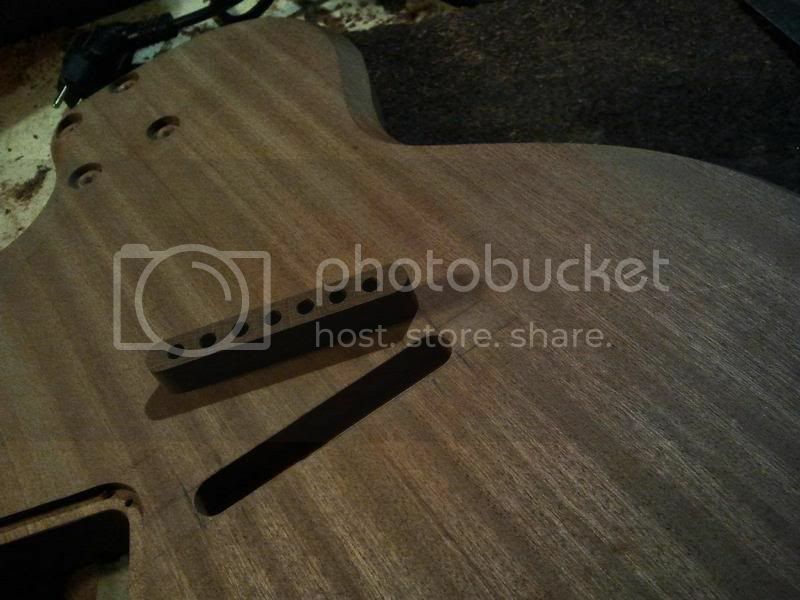 Lacquer shot, just have to wait 3 weeks to color cut and buff it. Give it a Dean ML headstock. 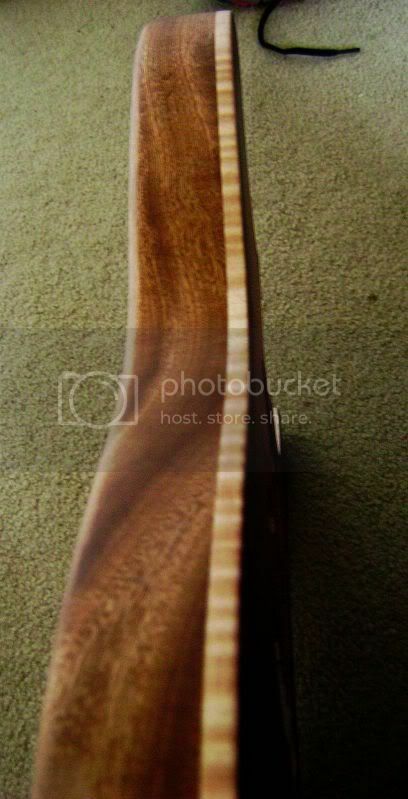 You better be using a differnt headstock this time, I'm tired of seeing that similar design on all of your guitars. 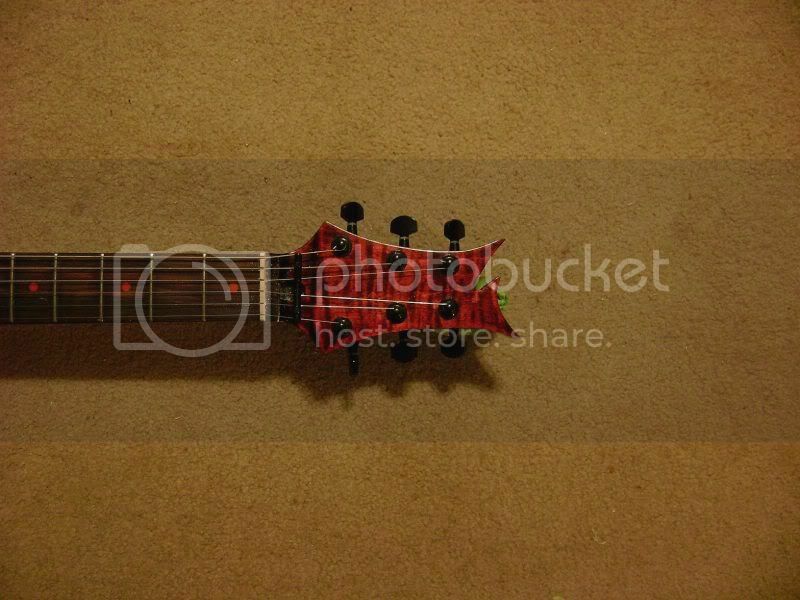 Too bad, that's my headstock design. 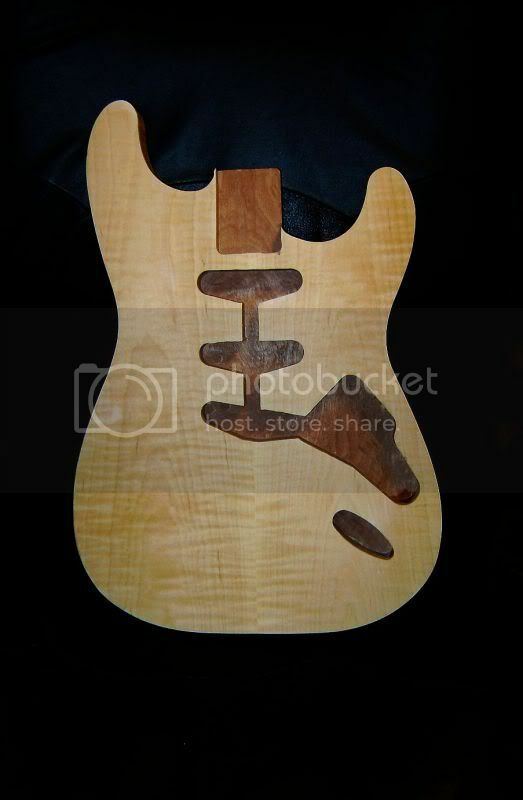 oh no, im just not precise with the neck route depth until I actually make the neck, so that is just uneven routing. Now that I have the neck heel made I can route flat to depth. 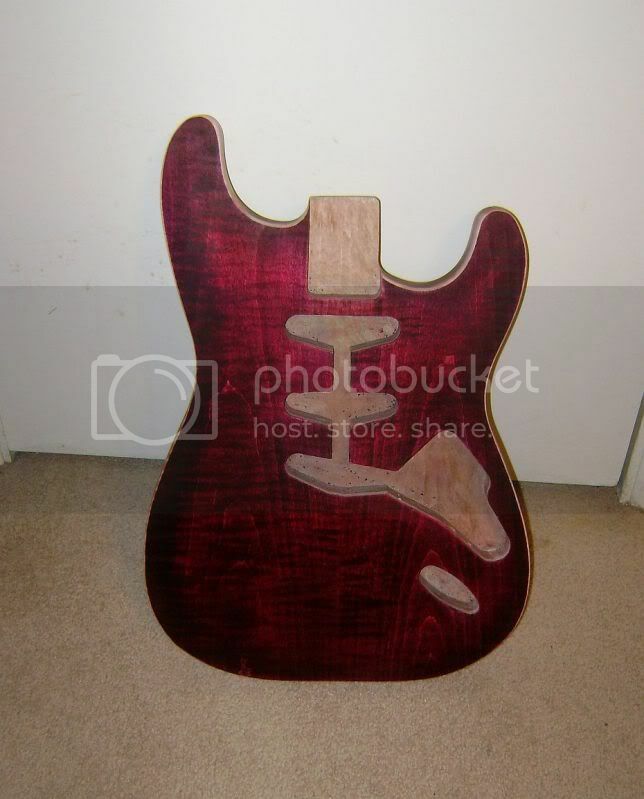 I royally fucked up drilling the ferrules in the back of this thing, but oh well, no one looks at the back of the guitar. Point is, I need a bigger drill press. I guess I'll have AoD build my guitar. You will take 3 years picking out what you want then will probably send endless e-mails about how the guitar will be used for jazz fusion or whatever. 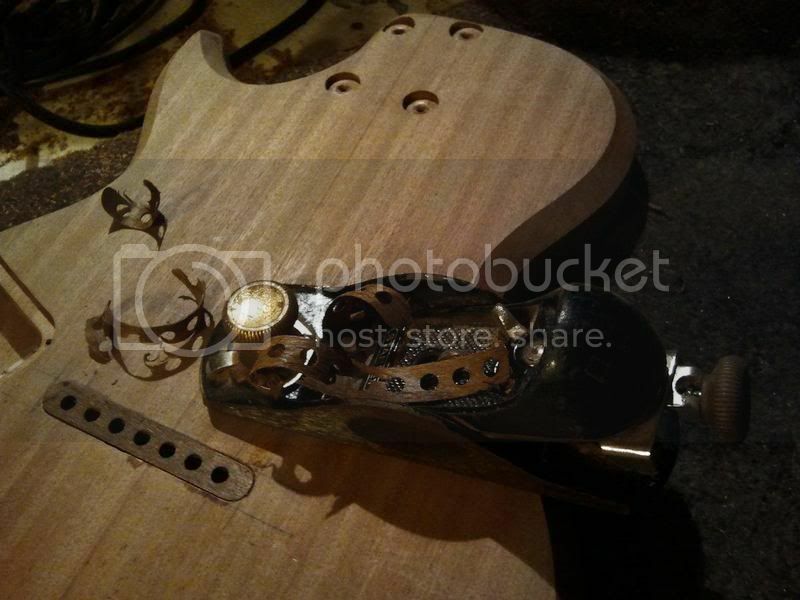 How have your guitars sounded, and what do you do with all the ones you build? I have sold a few of them, this red one is already sold. They all sound good to me, otherwise people wouldn't buy them, and I wouldn't keep making them. Pretty soon I'm going to start winding my own pickups. And if you're wondering "how are you going to sell it with the messed up ferrules in the back?" Like this, and no, this isn't one of mine, just an illustration of how to fix it. I still havent done the final polish and intonation, but this is it! post a few pics of the side....I'd like to see the binding work. 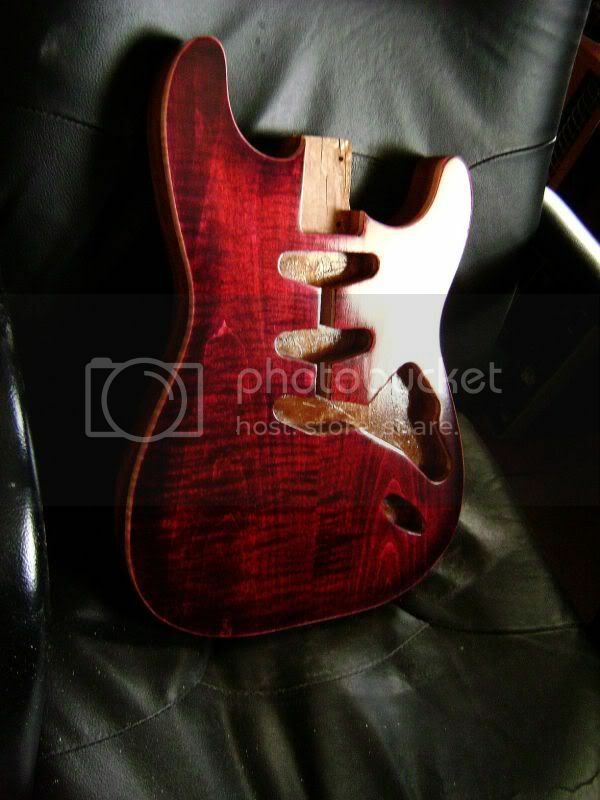 Is the headstock bound too? 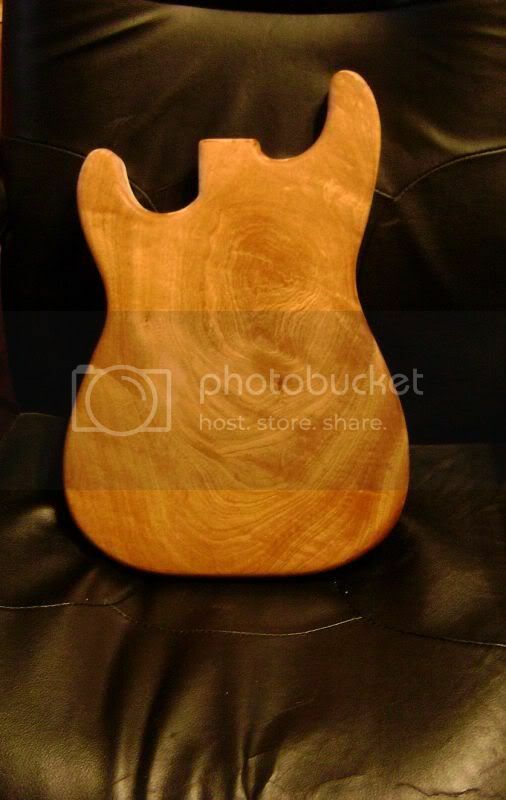 If I'm going to commission you to build me a bass I'd like to see your portfolio. No, it isn't bound. I just stained it black. 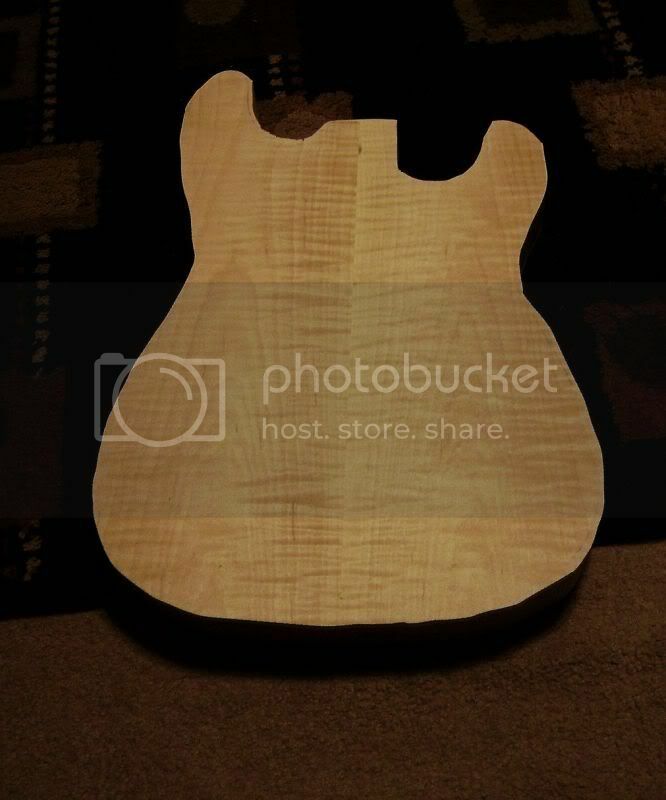 And as far as commissioning a bass, that's fine, but I am swamped over with orders right now, just had 2 more placed. Ok, so we got time. I'd still like to see a portfolio, and your ideas. Wood selections? Estimated costs for wood, hardware etc. PM me info, I am somewhat serious depending on seeing your other work. Me too, plz. Semi-serious as well. The headstock was inspired by 90's black guys who shaved that little indent into the front of their haircuts.